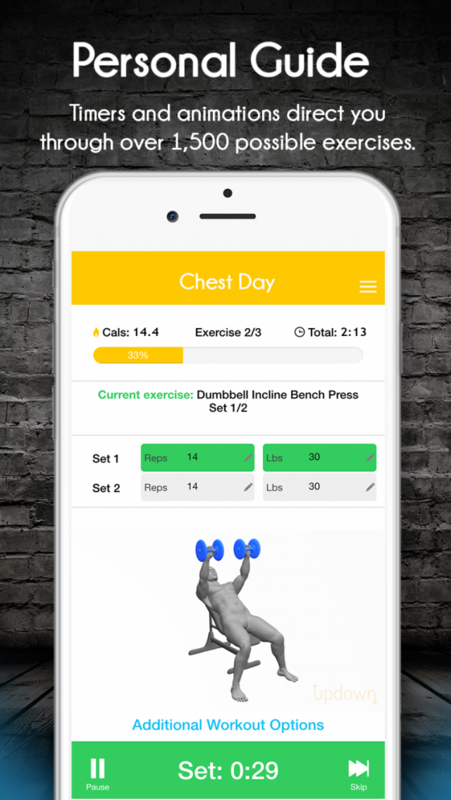 Discover Updown Fitness: the fitness app that helps anyone from beginners to experts create, perform, and share the perfect workout. Bored with your same old gym routines? Looking to spice up your workout schedule? Then Updown Fitness is for you! 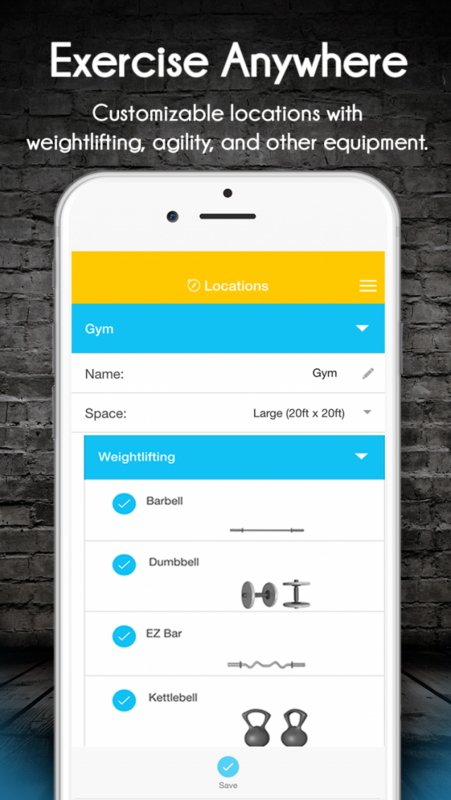 Create workouts from scratch by choosing from 1500+ fully animated exercises at your fingertips. Or, have Updown create a workout for you, just like a real personal trainer! - Cardio: Burn calories for quick weight loss with this fast-paced workout. - Strength: Build muscle and target specific body areas, such as your arms, chest, legs, or core. - Cross: Test your limits and enhance your muscular endurance with an intense combo of cardio and strength exercises. - Core: Create rock-hard abs or maintain your six pack with a core strengthening routine. - Stretch: Target specific muscle groups and improve your flexibility with a variety of unique stretches. Change the preferences of each workout by choosing the length of the session, the level of intensity, or the location. 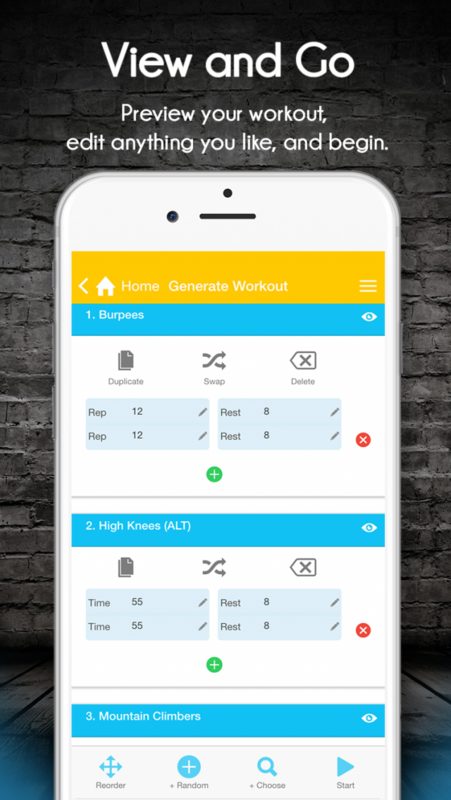 Updown Fitness will automatically craft a custom workout using all the equipment at your local gym--or just your own body weight for a home workout. 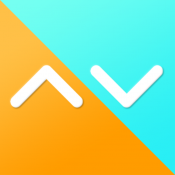 Exercise SMART: Updown Fitness also automatically adjusts difficulty--instantly. No more questioning how much weight to use or how many reps to perform! Keep your head in the game: Updown Fitness tracks and analyzes your data, so your next workout generates instantly for you--every single time. 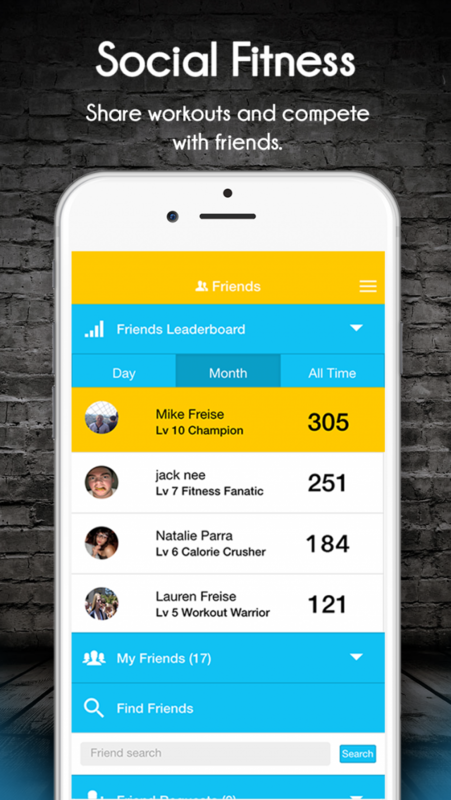 - Connect with friends to share workouts. - Earn points and levels for exercising. - Compete with friends for points. 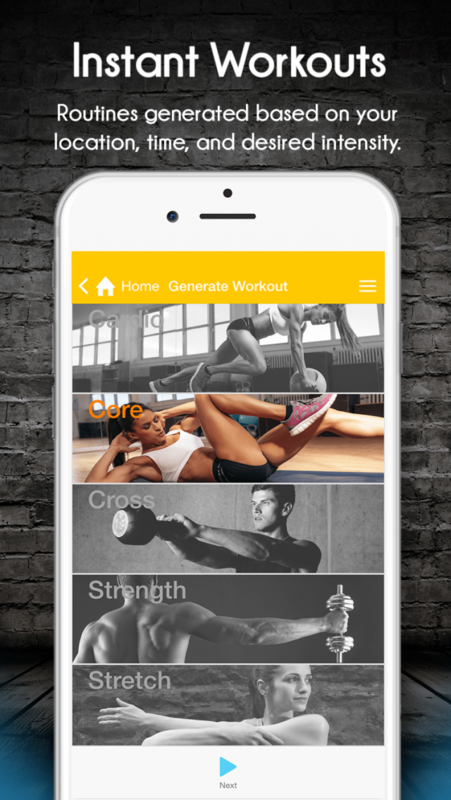 - Choose from over 1500+ exercises or create your own workout. - Get on-the-spot guidance with visual and audio cues. - Log other fitness activity like runs and yoga. - Choose where you work out: your home, the gym, or outside. ***Download Updown Fitness NOW and start your exercise program! No more excuses! For more information visit our website at www.updowntech.com.